If you're ready to take your trail riding to the next level let us introduce you to your new friend the Rockhopper Pro 29 with a one-by groupset. We built it to be light durable and exceedingly capable but how we did it is far more interesting. Cyclestore.co.uk carries the full range of Specialized bikes and accessories. To find out more about Specialized bikes and accessories, go to the Specialized Bikes homepage. If youre ready to take your trail riding to the next level let us introduce you to your new friend the Rockhopper Pro 29 with a one-by groupset. We built it to be light durable and exceedingly capable but how we did it is far more interesting. It starts with our new A1 SL alloy frame that features Boost™ QR 141 spacing internal cable routing and optimized tube shapes that save weight and give clean lines to the frame. Lastly our Sport XC 29 geometry adjusts the reach angles and standover height to make for an improved fit across the size range. This is sure to keep you ripping and confident while heading both up and down the trail. This Rockhopper comes specd with Shimano SLX 1x shifting thats simple and worry-free powerful Shimano hydraulic disc brakes thatll stop on a dime and a grippy combo of a Ground Control front and Fast Trak rear tyres that deliver superior control over almost any kind of terrain. The frame is constructed from lightweight A1 SL aluminium in order to provide a compliant durable platform to support our acclaimed XC Sport 29 Geometry. Combined you get a bike thats more than efficient on climbs and descends just as well. A RockShox Recon RL fork offers 80/90/100mm (size-specific) of plush trail taming travel and stiff 32mm stanchions. When set up one-by the Shimano SLX shifting makes it nearly impossible to drop a chain. Of course you still get the clean crisp shifts that Shimano is known for too. 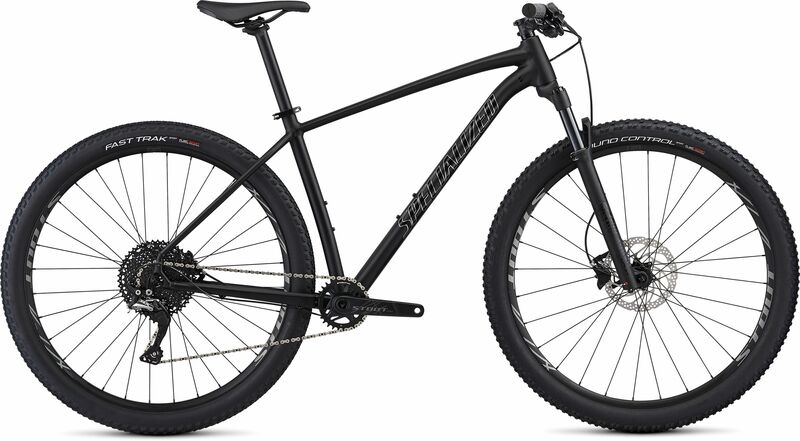 Please see below for delivery options for Specialized Rockhopper Pro 1x 29er Mountain Bike 2019.